Indonesia: A little bit of Longboard Indonesia scene, where we took most of the shots around Jakarta and Bandung. 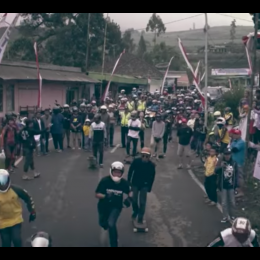 Jakarta, Indonesia: Daggers Cruisers Crew from Indonesia together with Local Longboard Shop LongboardINA held a Slide Jam comp. in the middle of Jakarta, Halloween Style.